(TibetanReview.net, Jul02, 2016) – The Deputy chief minister of the Indian state of Goa, Mr Francis D’Souza, and the South Goa Member of Parliament, Mr Narendra Sawaikar, on Jun 30 met with Tibet’s exiled spiritual leader, the Dalai Lama, at the airport lounge in Panaji. D’Souza and his family had lunch with the Dalai Lama. 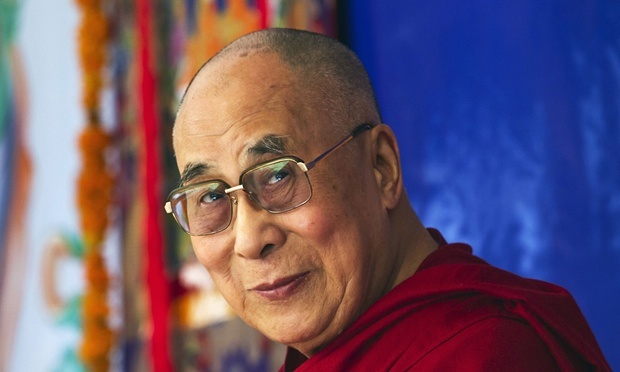 The Tibetan leader was on his way to Karnataka state to participate in the concluding ceremony of his year-long 80th birth celebrations at Drepung Monastery on Jul 6, reported timesofindia.indiatimes.com Jul 1. The Dalai Lama has just returned to India from the USA where he gave religious teachings and public talks, addressed the state legislature of California and the 84th annual meeting of the US conference of mayors, took part in conferences, and met with prominent public figures. China reacted with bitter anger to his meetings with President Barack Obama and pop star Lady Gaga. It imposed a ban on the latter who thereby joined the rank of other artistes such as Selena Gomez and Bon Jovi and many others for offending China with Dalai Lama pictures, meetings, and Tibet support concerts. Reacting to her Chinese fans who disapproved of her meeting with the Dalai Lama in view of their government’s allegations about it, Lady Gaga wrote in her online posting: “We must stay unified. Be kind not only to your friends, but also your enemies. We have to try to work together towards world peace.” She attached her note to a picture of her hugging the Dalai Lama.